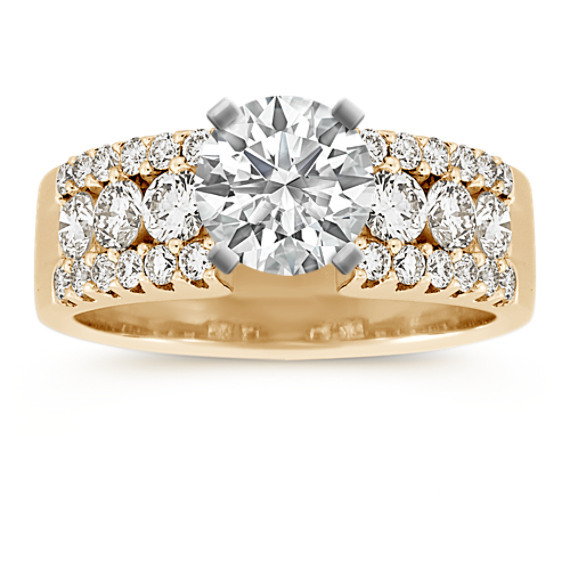 This engagement ring has a striking design set in 14 karat yellow gold. Thirty round diamonds, at approximately .99 carat total weight, have been hand-matched for exceptional beauty and brilliance. Personalize the look by adding a center diamond in the shape and size of your choice.